I love smoothies. Why not make a wonderful love child of the two? 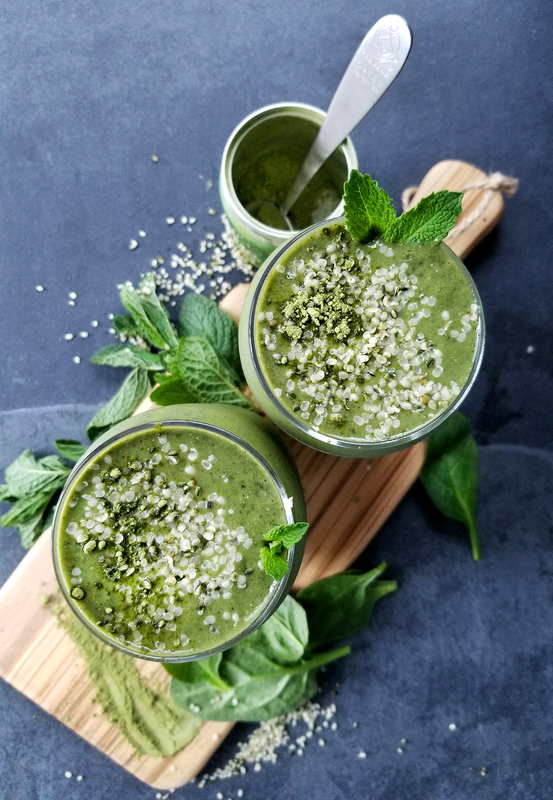 It’s perfect if you want a break from coffee, don’t want a hot drink in the morning, and a great way to get a little extra kick of caffeine, antioxidants, and delicate flavors to your smoothies. Some of my favorite teas are plain herbal mint, and delicious frothy and earthy Matcha. 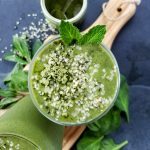 These flavors work well together because they are both light, refreshing, somewhat grassy, and both have an incredibly fresh and beautiful green color. 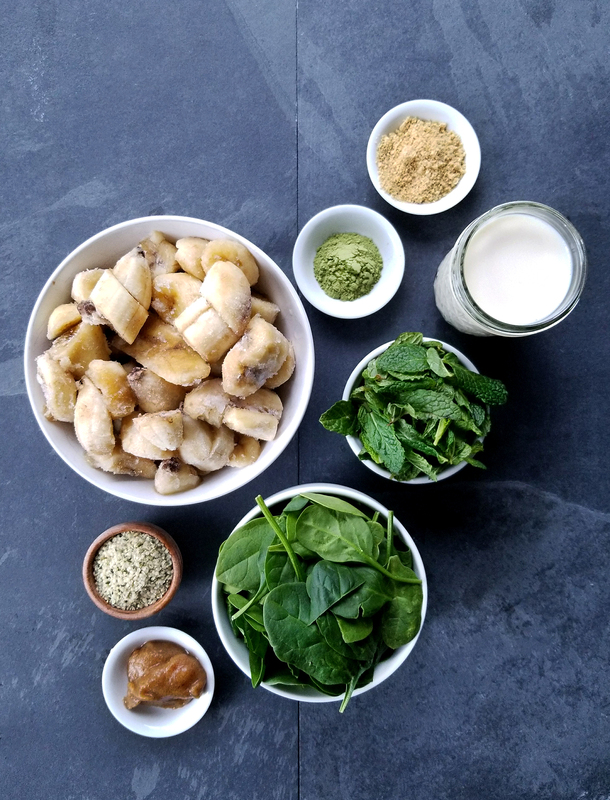 And while many tea smoothies have a lot of heavy fats added to them, like coconut milk and coconut oil(to resemble a cold milky latte), I wanted to keep the smoothie on the lighter side, with creamy bananas and whole foods fats like flax seeds and hemp seeds. 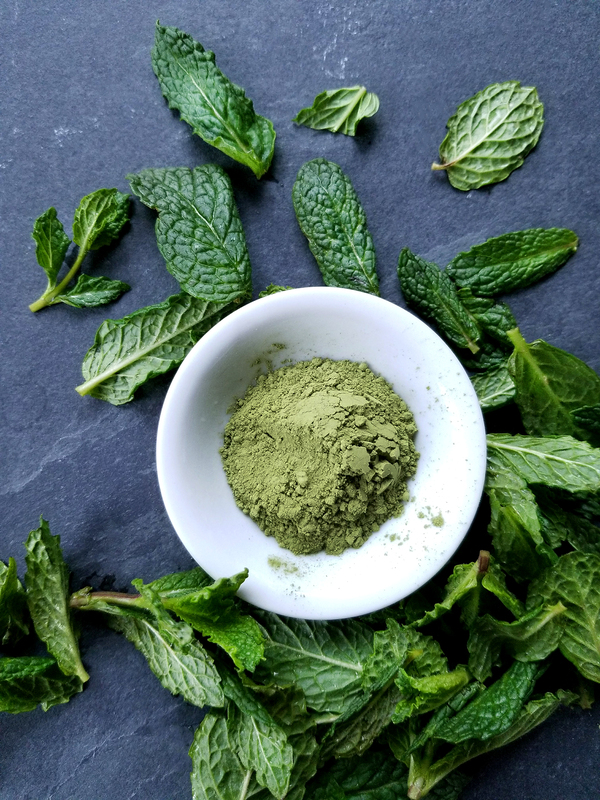 Using the whole mint leaves and the ground whole leaves (Matcha) rather than steeping them brings out a world of nutrition you could never achieve with a traditionally steeped tea. You get all of the nutrients plus a ton of fiber, which is always a huge benefit to one’s health. 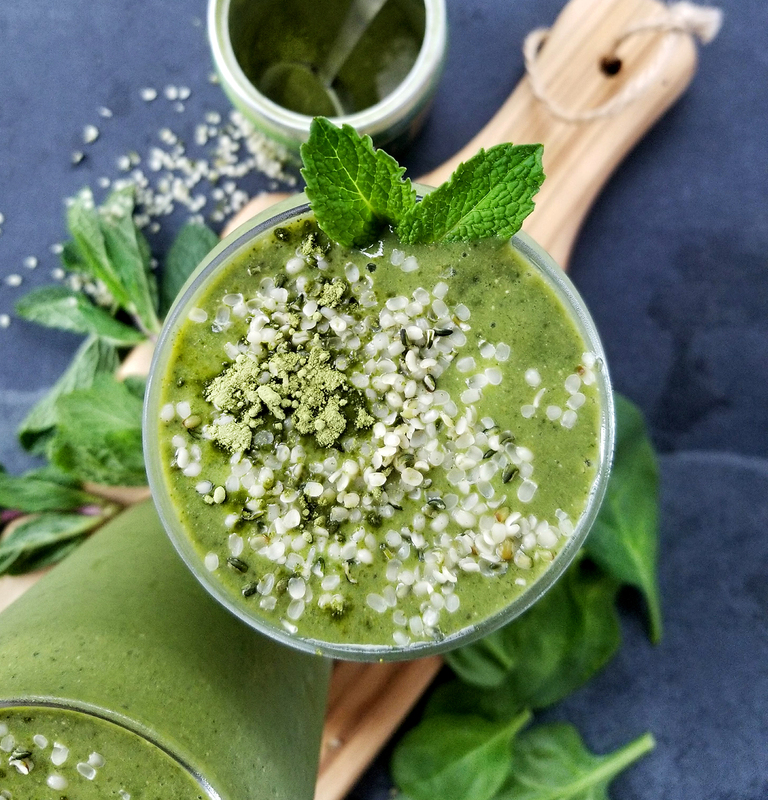 I hope you enjoy this bright, refreshing, nutrient dense smoothie soon, to add to your arsenal of morning pick-me-ups! I know it has become a favorite of mine. 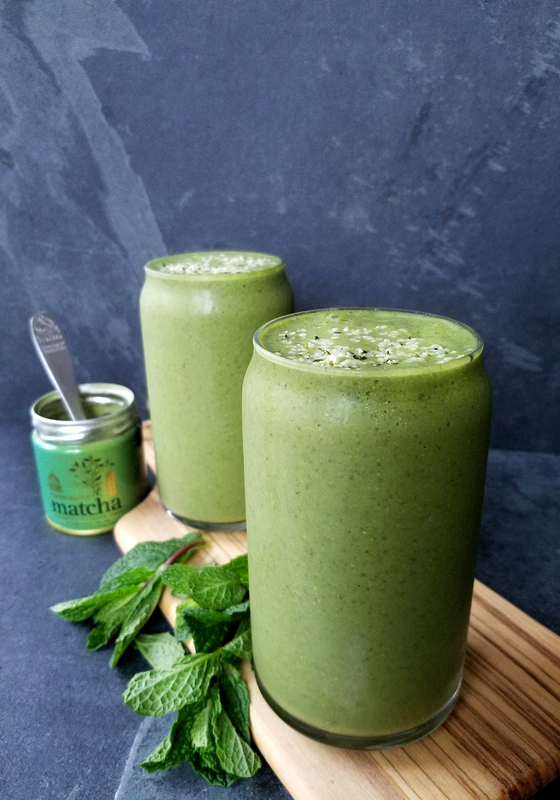 A lovely cold green tea smoothie, loaded with nutrition and just a touch of caffeine. It's a perfect addition to your morning beverage arsenal.